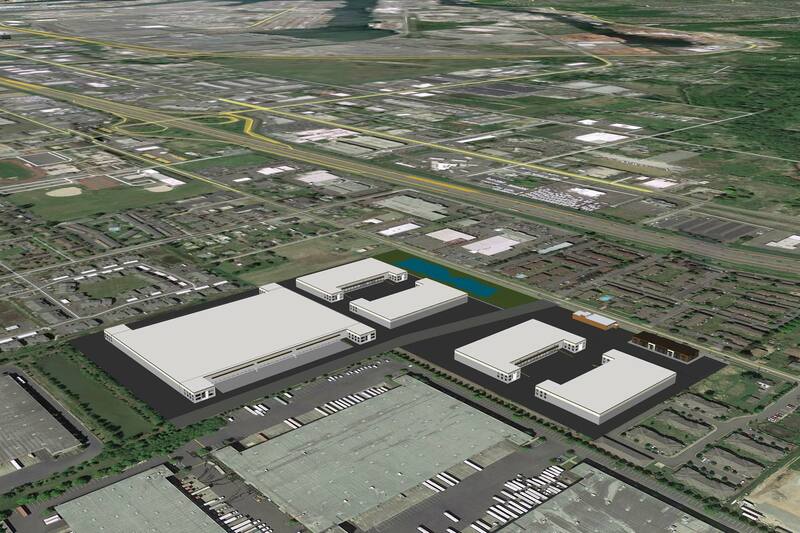 Construction of a new 28.26 acre site – Industrial Park with 485,500sf of concrete tilt-up facilities. Project consists of: Clearing 28.26, mass excavation, placement and compaction of 57,000cy of onsite material for building pre-loads and site fill. Import and place 18,000 ton for capillary break; 30,000 ton of gravel base for wet weather protection; 7,000 ton of gravel for building foundation support. 26,600 lf of storm, sewer, water piping ranging from 6” to 30” at depths of 18’. Project is still under construction and can be viewed www.project.a-p/portside/.